Ryle is assertive, stubborn, and maybe even a little arrogant. He's also sensitive, brilliant, and has a total soft spot for Lily, but Ryle's complete aversion to relationships is disturbing. It has taken me 8 months to finally sit down and write this review. That's kinda long, right? Well, you have no idea how torn I have been to actually even write a one. I honestly don't even know how to rate it either. I am giving it 4 owls because I love the writing and it was written well, so I am not taking that away from it. And I am not going to bring my rating down because I simply do not agree with the book. I first fell in love with Colleen's writing after reading Maybe Someday. Colleen has a way with words and character development, that it makes you feel like the characters you are reading about are actually real. You instantly fall in love with them, even the secondary ones. After reading Maybe Someday, I devoured every book Colleen released ever since. I am addicted and I am not ashamed to admit it. But, here is comes, I issues with It Ends With Us (IEWU). Honestly IEWU felt like 2 separate books and I wish it had actually been two separate books. I looooooooved the beginning. I loved the story about Atlas and Lily. Their story is tragic yet beautiful, just like all of Colleen's books. But I hate Ryle Kincaid. I hate him with a passion. But that is not the reason why I disliked IEWU, I didn't like it because I felt (now this is only my opinion) Lily made an excuse for why Ryle did what he did. It was really hard for me to sit there and continue reading it and seeing how Lily made an excise every time. There is no excuse. I know the story behind IEWU and why Colleen wrote it. It took a lot for her to sit down and sip on her diet pepsi and write a story that hit home, and I love her even more for that. A lot of readers loved IEWU, so please do not get discouraged. 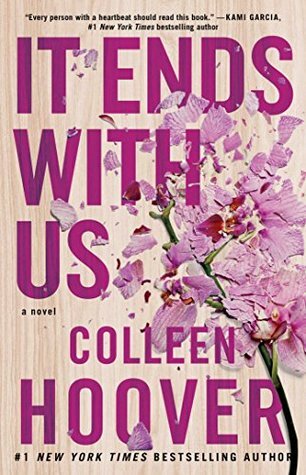 It's a well written book and if you have read any of Colleen's books, you know how amazing she is. This is just my opinion and I am just sharing how the book made me feel. It could be totally different for you.